← All Hail King Arthur Flour’s Majestic Banana Crunch Cake. And Some FOUND Adoration. 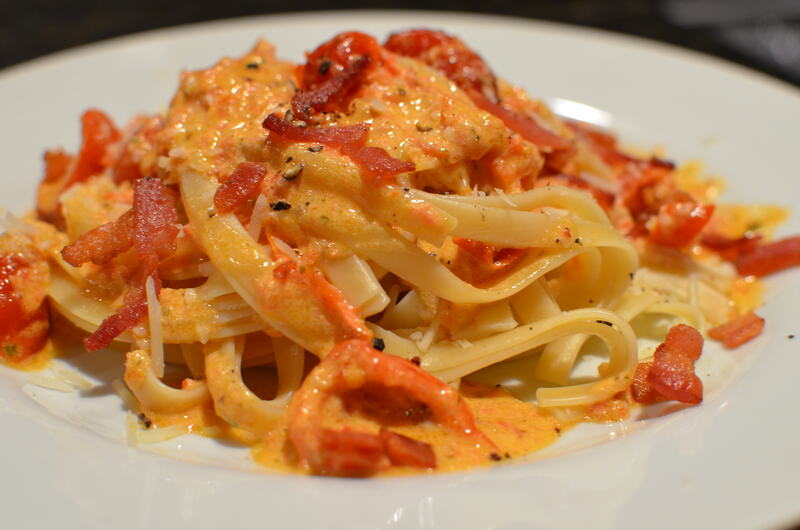 I also love this Pasta dish that’s chock full of fun flavor. You cannot go wrong with bacon. Cream is a given goodie. 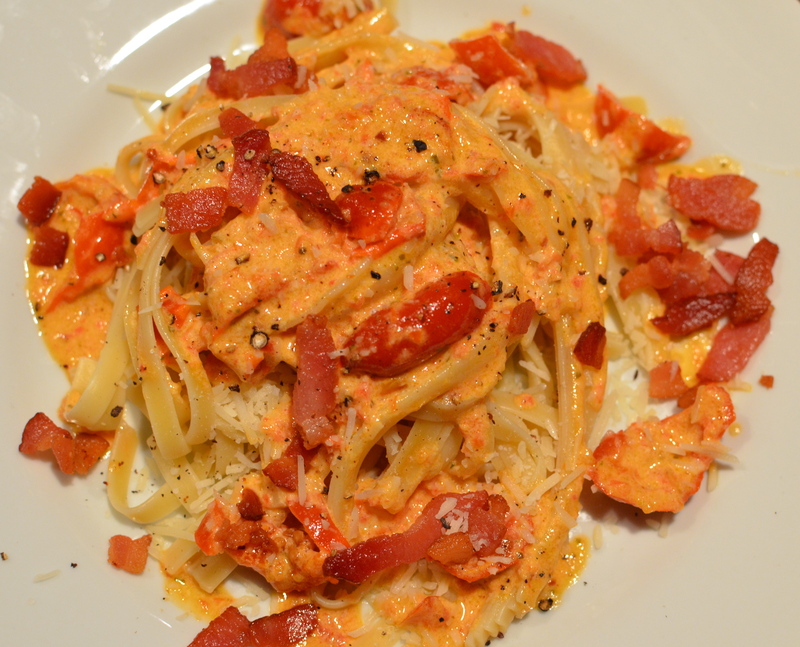 Sun-dried tomatoes….definitely. What makes this recipe (my own…can you believe that?) really special though, is the sweet/hot addition of Peppadew peppers. I just love them. Feel free to substitute roasted red peppers or to omit completely. 1. Place bacon in a large skillet and cook until very crisp. Remove and set aside. 2. Place the pesto into the skillet and cook until heated through. Add peppers and cream and cook until sauce is slightly thickened. 4. Toss pasta with sauce. Top with bacon and a sprinkle of Parmesan. Here’s a smooth song to ease us into the week. I love its classic rock anthemic feel. Check out Huck Finn on Soundcloud, where you can also buy the music. Here is a good interview with the band. This entry was posted in Pasta and tagged Huck Finn. Bookmark the permalink. 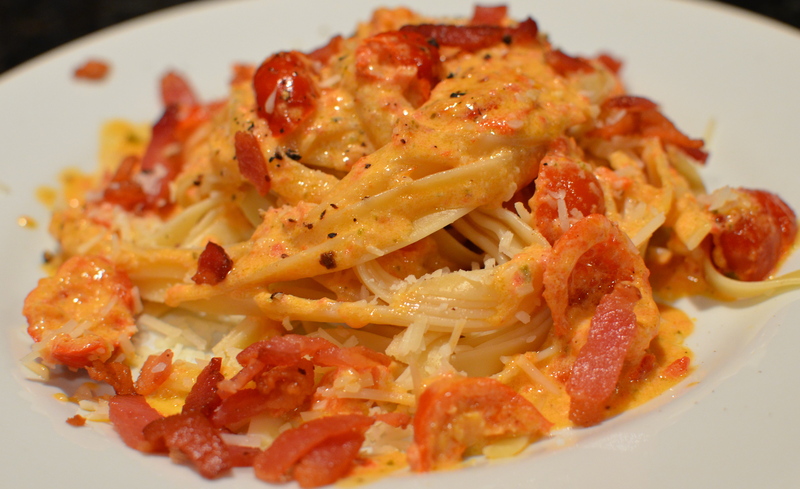 Hey, made this pasta tonite, except I used piquillo peppers (cuz I already had in my frig). And threw in some roasted chicken, also left over, into the mix! Yummy recipe!! Must be all the bacon and cream. Yeah!